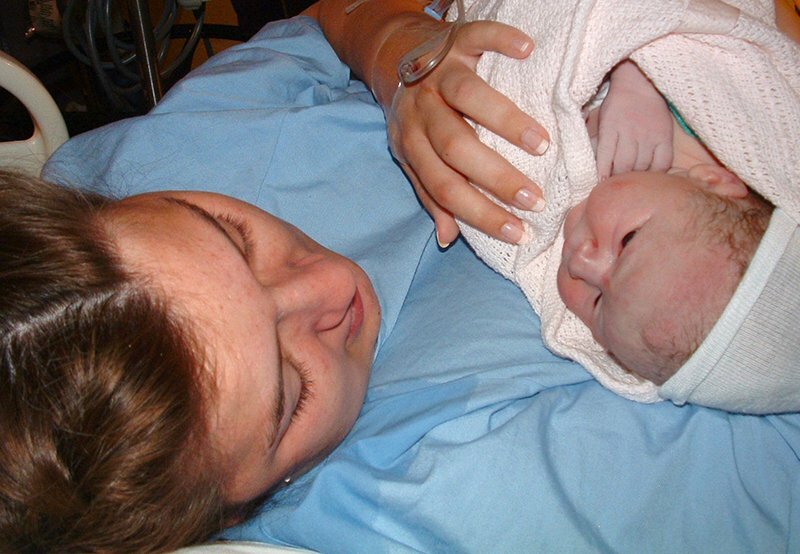 In October 2004, I walked into my hospital’s Labour and Delivery unit. I haven’t walked since. Honestly, it’s not an easy thing to write about. I still harbour some bitterness and anxiety over the whole thing, but for the most part I’ve pretty much moved on with my life as a disabled person. My left leg is paralyzed from my pelvis to my toes. I have zero feeling and almost zero movement (I can twitch my toes occasionally). I use a wheelchair every day, but I can shuffle about on my good leg if I need to, although my balance is poor and I fall easily. So what happened? 12 years later, we still don’t know for sure, but I’ll recount my experience for you all. I was 22 years old and pregnant with my first child. 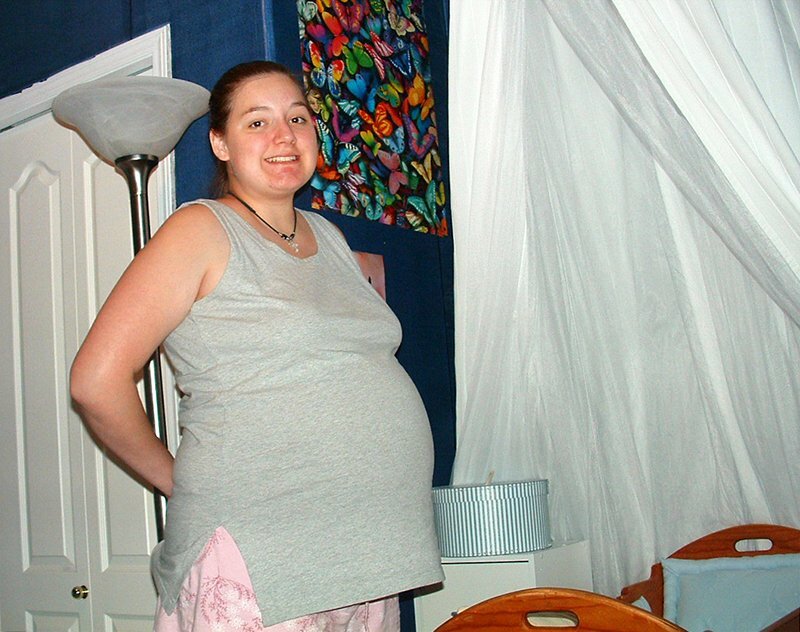 I had a fairly easy pregnancy despite extreme nausea and vomiting that was diagnosed as hyperemesis. But the baby itself was completely healthy, and my pregnancy was complication-free. I had an obstetrician whom I saw a handful of times during pregnancy. He wasn’t very personable, and each visit went by without much interaction. He did ask me at one point if I planned on getting an epidural. I responded, “Yep!” and he said, “Okay,” and that was the extent of the conversation. He didn’t discuss other options for pain management or offer information about the procedure and its risks. And in my naivety and inexperience, I didn’t research any of those things on my own. My plan was to just leave everything to the experts. I would walk into the hospital and they’d take it from there, I thought. I had many friends and relatives who had used epidurals, and it just seemed like that was the normal thing everyone did. 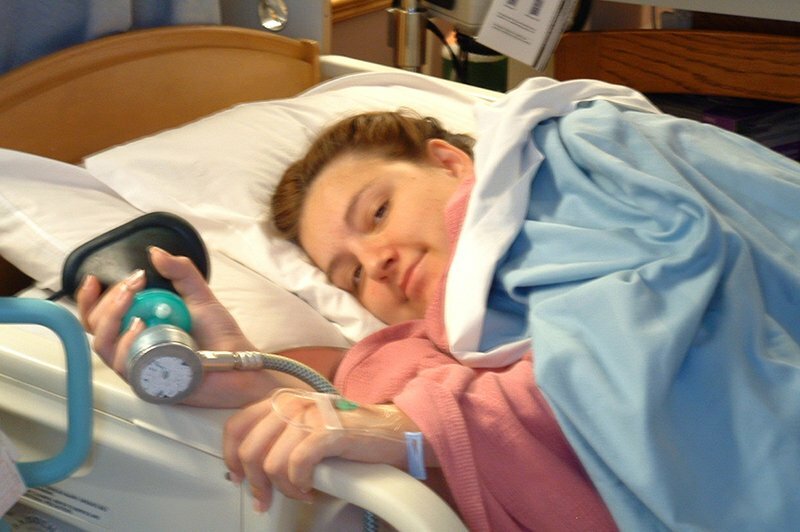 So there I was, 3 days before my due date and experiencing my first “really real” contractions. I was excited! I immediately woke up my mom and said “This is it! I’m in labour for real!” We arrived at about 10:00 am. I was taken into Labour and Delivery Triage, a cramped room with uncomfortable stretchers where you lie and wait for a nurse to decide, “This is happening”. So I lay there, in pain, strapped to a heart rate monitor. Baby looked great, and I was offered a shot of morphine for the pain. I said yes, of course. It didn’t help. My contractions were getting closer together, and by 1:00 pm I was dilated enough to warrant being moved to my delivery room. Once I got in there, they offered me laughing gas and more morphine. I said yes, and it helped a little. The contractions were getting much stronger and closer together. I asked if I could lie in the bath. I was told I couldn’t stay in the tub too long because they needed to keep me in the bed on a monitor. My baby decided to flip “face up” which meant he was no longer in the “optimal birthing position.” I should tell you that 4 years prior I was in a boating accident that left my lower back in pain a lot. This, in combination with the back labour I was experiencing, was horrible. I begged for an epidural. I needed the pain to stop. I wanted to run back to the tub, but I was placed on my back, on the bed, and strapped to the heart rate monitor again. The pain grew more intense. Around 4:30 pm, the anesthetist walked in. She said she was there to give me an epidural for the pain. I was told to sign a form – which I signed, of course. I would have welcomed a sledgehammer to the head at that point if it meant the pain would stop. What’s that? You want to put a large needle into my spine to take away this mind-searing pain I’m in? Why please, yes! Do that immediately. In hindsight, a woman in the throes of labour is probably not capable of making any waiver-signing decisions but, nonetheless, it’s standard procedure. This is where the doctor was legally required to inform me of the risks of this elective pain intervention. She casually said, “There is a zero to one percent chance that anything will go wrong, Candace.” “Uh huh,” I said. I was told she couldn’t administer the epidural until I was not in a contraction. She began preparing, and I said, “I’m contracting,” but she went ahead anyway. I sat on the edge of the bed, my back hunched over and my mom holding me in a hug position while the doctor was inserting the needle. My legs were hanging over the edge of the bed and resting on a stool, but they started shaking violently. The doctor asked me to hold my legs still. but I couldn’t. They were shaking on their own. Then they suddenly stopped. My legs went completely numb and limp from my pelvis down. 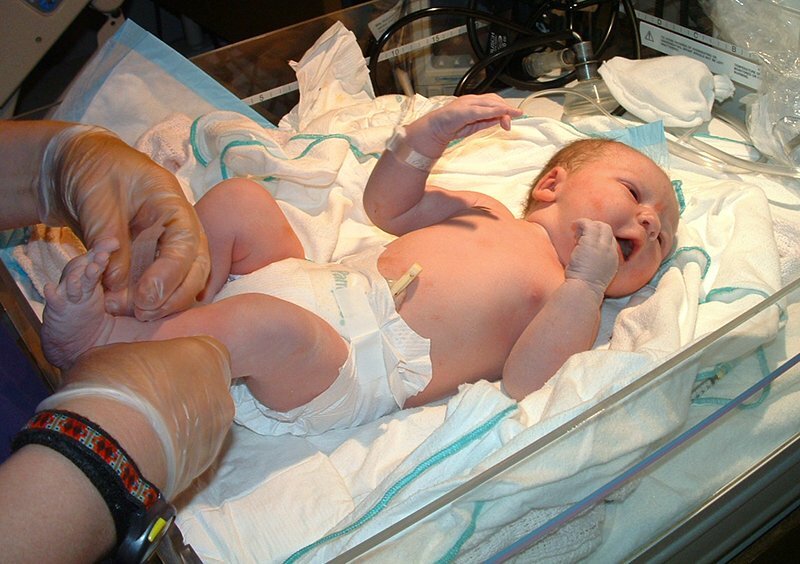 I assumed this was normal as I had never had an epidural before and wasn’t told what to expect. I couldn’t move or feel my legs, but damnit, I could still feel that contraction. “All done!” she said. The nurse helped me lie down on the bed. I was placed on my back again, and my legs were lifted up for me. I was still in pain, and the epidural hadn’t weakened any of the sensation in my pelvis, abdomen or higher. A nurse began to check my belly for sensation with an ice cube. Wait, what? Why bother asking me if you aren’t going to believe my answers? I carried on labouring for another two hours, feeling every agonizing contraction and still strapped to a monitor, lying on my back, on a bed. At 6:30 pm, I told the nurse that I felt the baby coming. She replied that this was impossible because the last cervix check indicated I wouldn’t be having this baby before midnight. I insisted, and she begrudgingly lifted my gown to check me. Sure enough, he was starting to crown. The rest of my delivery is a total blur. I remember they couldn’t read my contractions on the monitor so I was told to tell them when I was having one. I dutifully called out the start of each contraction and was told to push through it. Someone said that the baby was in distress and they needed to get him out quickly. The doctor positioned a suction device onto his head to help pull him out. It had been a mere 15 minutes since I started pushing, and then he was out. It was agonizingly painful, but my body did its job (without any help from my useless legs), and my son was born. A hair shy of 9 pounds and 21 inches of gorgeous. I realized I was standing with my weight entirely on a very weak and numb right leg, but I couldn’t make my left leg move or support me at all. I couldn’t step forward. The nurses helped me the rest of the way into bed. I was told, “Maybe it just needs more time,” so I immediately returned my focus to my baby. It wasn’t until several hours had passed with zero improvement to my left side that my mom and I started to become concerned. Days passed. No improvement. I had every neurologist on staff poke and prod at me with no answers. I heard, “Well, it can’t be the epidural,” a million times. I was continually told, “Maybe it just needs more time.” 15 days later, I was discharged with no improvement and no answers. 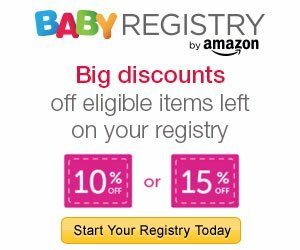 It’s been over a decade now, and I have researched thousands of hours worth of information about childbirth, epidurals and pregnancy. I have learned about options, risks and outcomes. In November 2013, when I became pregnant with my second child, I knew this time I would be prepared. I would wheel into that delivery room with full knowledge of every possible procedure and option that they could throw at me. I would have a plan. My second son was born on July 21, 2014, after only two hours in the hospital and not one intervention. Not even an IV. In fact, I practically told all the staff to wait in the hall. I did it all on my own, with my wonderful husband and doula by my side, and it was the best experience of my life. I’m not telling you all to refuse the epidural. I believe they are sometimes medically necessary, and you shouldn’t fear them when the benefits outweigh the risks. But I encourage you all to learn how interventions affect the delivery process, the complications they might cause and what the benefits are. Learn what your alternative options are for dealing with the labour process. Be as informed as you possibly can be for every decision. My biggest regret isn’t choosing the epidural. It’s choosing to wake up on the most important day of my life completely ignorant and without any plan for what would lie ahead of me. I simply wasn’t prepared. Candace is now a mother of three boys ages 0, 2 and 12. 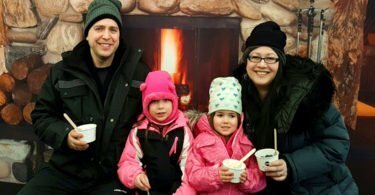 She blogs from Calgary, Alberta, about parenting, cloth diapering, breastfeeding and babywearing. Visit The Mama Knows and follow her on Facebook, Twitter, and Instagram. 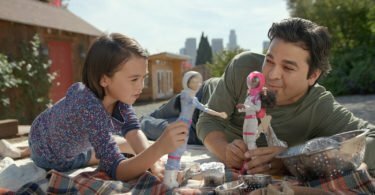 Take the #DadsWhoPlayBarbie Video Challenge and You Could Win $25,000! I am so angry on your behalf. I can’t believe the way they treated you, and this is clearly those doctor’s fault for not administering the epidural according to standard procedure. I hope you sued their pants off, as their lousy way of treating you directly led to this. Wow! Thats crazy!! I would’ve been terrified!! I absolutely agree though, its funny the information nobody tells first time moms… like everything!! I would do my next labor totally different that my first!! Wow, what a heartbreaking, yet bittersweet experience.. My heart goes out to Candace! Thanks for sharing this birth story, and bringing the complications of this procedure to the foreground so that mamas such as myself, due this Spring, may know their options & to b be prepared. So nice to hear that her 2nd delivery was handled so well, and the best experience, how empowering! wow, what a birth story. I’ve heard of the risk with an epidural, but had never heard of anyone who had more than the usual minor side effects. I’m so sorry for what you went through, and so upset that they didn’t give you the correct information (and that they messed up the procedure!!!). Oh my goodness that’s crazy! I 100% agree with your statement that a woman in labour can not give proper consent. Thanks for sharing your story. Oh my goodness. I’m so sorry that you had to go through this. You are a strong woman! WOW! I feel so awful for this woman. 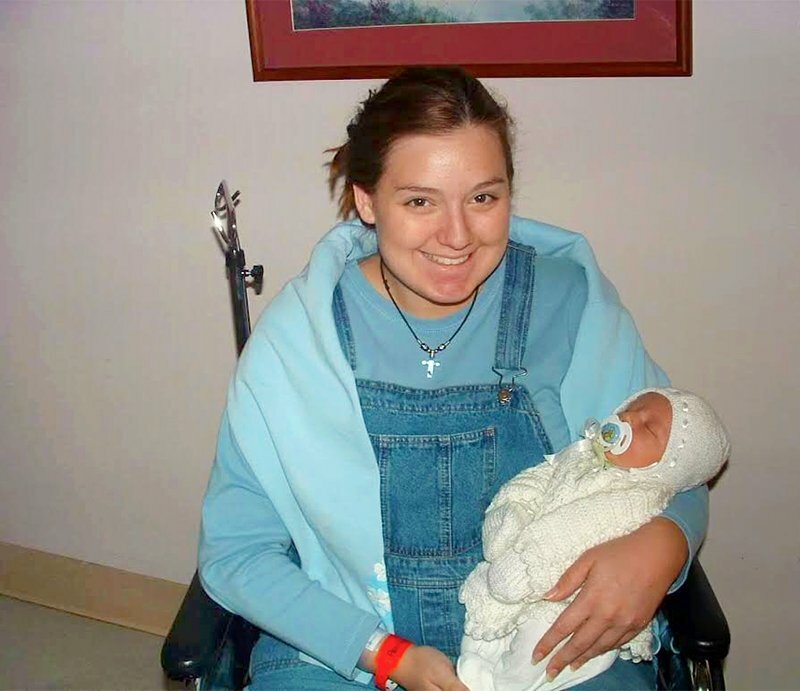 I had an epidural myself and couldnt imagine my legs being paralyzed from it . Thank you for sharing your story. My mother also became paralyzed due to an epidural shot when she gave birth to my older brother. He’s turning 48 this year; so this May it will 48 years that she’s been paralyzed. I gave birth to twins 3 years ago and my mother and father were both in the hospital room with me when the anesthesiologist came to my room to explain the epidural and have me sign the legal paperwork. The anesthesiologist said there was a very rare chance of any complications then I introduced him to my mom and explained that she became paralyzed due to the epidural shot. I got the shot and everything turned out ok but I did feel a lot of anxiety the moment he administered the shot.